A foreclosure cleanout service is most definitely worthwhile for real estate professionals. 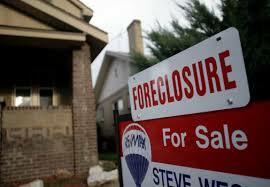 Typically, banks want REO foreclosure properties ready to show in a short amount of time. Because most foreclosures require furniture, appliance, and junk haul away, this can have a significant impact on getting it into salable condition. Let’s face it, there’s nothing more frustrating than showing a property which just isn’t in showable condition. Often times, the previous resident(s) leaves behind scattered personal possessions and a significant amount of junk. Just entering a foreclosed home can be a risk, because you never know what to expect. It’s not uncommon to find pest infestations, appliances ripped out, windows and screens broken and torn, carpet stained, water damage in the bathroom, and other nuisances. Get it done quickly. There’s little to no time in your schedule. So, why add something else? Don’t put yourself in a worse situation by taking more time away from what really matters. Avoid any unpleasant surprises. If there’s one thing about a foreclosure, it’s that you never know what’s in-store. Pet waste and all kinds of debris and junk are common to find in a foreclosed home. These are not only unpleasant, but also, present health and safety hazards. Save what’s salvageable and useful. Some things might be worth saving to sell with the property. A foreclosure cleanout service will know what’s salvageable and what isn’t. When you get a foreclosed home listing and need to have it cleaned out, please phone 800-433-1094 or visit Junk Garbage Removal.